Parchman Farm is the maximum security Mississippi State Penitentiary for men. It is located on Highway 49W between Tutwiler and Drew. 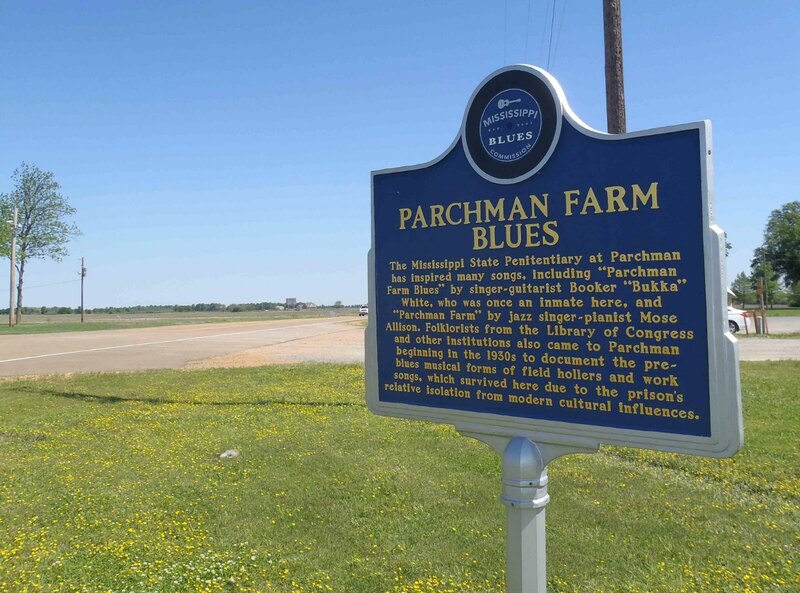 Also see our web page for Parchman Farm Blues. 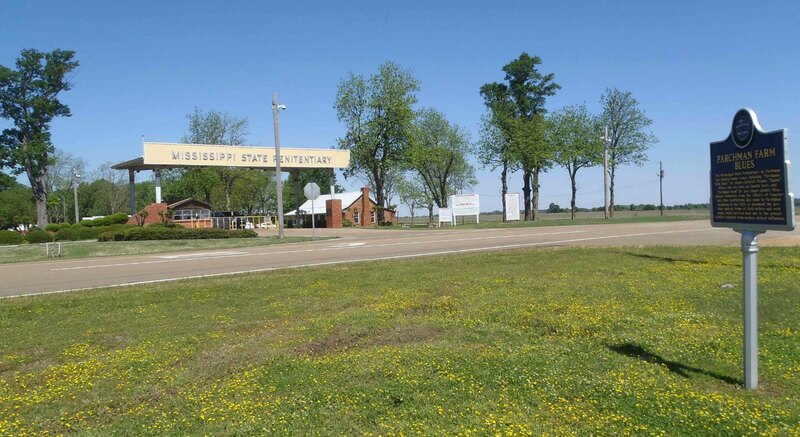 The Mississippi Blues Trail marker for Parchman Farm Blues is located directly across the highway from the main entrance gate of the Mississippi State Peniteniary. There is an unpaved parking lot immediately adjacent to the marker so you can pull off the highway to see it. Apart from Bukka White, influential Blues musicians known to have been inmates of Parchman Farm include Son House and R.L. Burnside. Mose Allison also wrote a song about Parchman Farm. The best known cover of Mose Allison’s “Parchman Farm” was recorded by John Mayall’s Bluesbreakers and released on John Mayall’s influential 1966 album, Bluesbreakers With Eric Clapton. Here for a link to an mp3 version of “Parchman Farm” by John Mayall’s Bluesbreakers.